This is an extract of a eulogy given by Clare Schwantes at the funeral Mass of her father Dr Ken Levy at Our Lady of Mt Carmel Church, Coorparoo on January 25. He died in Brisbane on January 20. UNTIL a couple of days ago, we had decided there wasn’t going to be a eulogy (or words of remembrance) for a number of reasons. Dad was a private, humble man who would not have wanted any pomp and ceremony as we gather to celebrate his life. He wouldn’t have liked us to appear to be boasting about his achievements, no matter how proud of him we may be. Moreover, we felt that we couldn’t adequately capture the essence of such an extraordinary, dignified man in such a short timeframe. Despite some initial reservations we eventually felt a strong compulsion to honour Dad’s memory by at least attempting to encapsulate the remarkable impact he had on so many people’s lives. It is not the intention to present to you a resume or a timeline of Dad’s extensive career achievements. However, an initial brief reflection on his work life is important because it was in this context that he demonstrated to so many people his inspirational qualities of dedication, tenacity and utter integrity. Dad’s 48-year distinguished public service career began in the Lands Office but it was during his time with the Department of Justice where he spent three decades overseeing a number of significant reforms in Queensland. He served as deputy director general of the Attorney General’s Department and then as director of the newly amalgamated Attorney General’s and Justice Department until he retired from the role in 2003. Dad was remembered by his Justice colleagues for his openness, approachable manner and willingness to make hard decisions. We were overwhelmed with the flood of emails he received on his retirement from colleagues who had worked with him for varying amounts of time. They highly respected Dad not only for his strong leadership, fierce intelligence and professionalism but even more for his sheer humanity. They thanked him for his understanding and compassion when they had been going through difficult times, and remembered him as the ultimate gentleman. His love of justice led him into other varied roles in the next chapter of his professional life. He was appointed to the Administrative Appeals Tribunal, and served as president of Australia’s national professional accounting body, CPA Australia. He had a consulting role within government and as a private barrister, and was an inaugural member of the Accounting Professional and Ethical Standards Board. Dad was a well-loved and highly respected professor of Law at Bond University. In 2013, Dad was appointed as acting chairman of what is now the Queensland Crime and Corruption Commission. Dad also devoted his time freely to the Catholic Archdiocese of Brisbane. 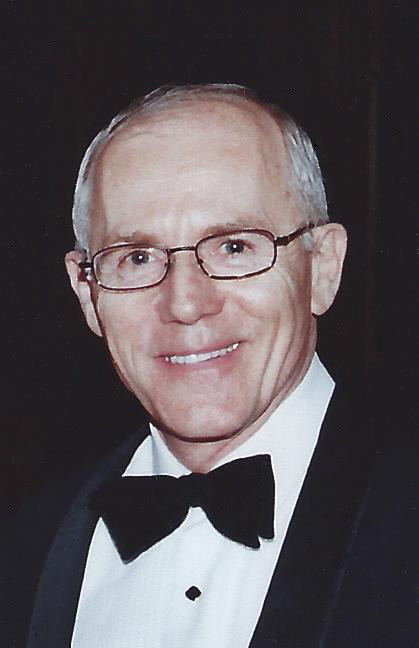 He was a member of the Archdiocesan Finance Council, chair of the Audit and Risk Management Committee and chair of the Investment Committee where he formed some loyal and lasting friendships. He earned a Bachelor of Arts degree majoring in Psychology, a Bachelor of Commerce and a Bachelor of Law degree. He was awarded a PhD in Criminology and a Fullbright scholarship with the University of California where he undertook post-doctoral psychological research into adolescent crime and the criminal justice system in the United States. Dad was a barrister of the Supreme Court of Queensland and of the High Court of Australia. He is a registered psychologist, and a member of various national and international psychological societies. The Australian Army Reserve was also a central part of Dad’s life. During his 40 years with the Reserve, he received numerous commendations. Perhaps his greatest achievement in the military sphere can be traced back quite early on in his career when he was a 2nd Lieutenant in the Pay Corp Unit. One of the soldiers under his command in that unit was a young lady named Veronica, whom he married in 1978 at Rosalie. This began one of the most loving and supportive marriages that could ever have been. This month on January 7 they celebrated their 38th wedding anniversary. Dad was a devoted husband and father, always putting others before himself. He made a point of trying to pass on to his children, essential character traits that he held dear – honesty, integrity, perseverance, humility and the importance of holding firm to your conviction. He believed in setting yourself up for the worst-case scenario so that if good things happened you would be pleasantly surprised. This was better than being presumptuous and over-confident and then being disappointed if things didn’t go as well as we hoped. One mantra which neither my brother Gregory nor I will ever forget is his famous catch-phrase “Planning is the key to everything”. It has served us well indeed. He was certainly a devoted father, inherently interested in our educational and musical pursuits and later was supportive of our respective academic studies and career aspirations. His office always had an open door and he was a reliable first port of call when any advice was needed. He had an amazing ability to make a seemingly insurmountable problem seem perfectly manageable with a rational and logical solution. In recent years, Dad’s greatest joy was in his grandchildren who always brought a beaming smile to his face. He loved reading to them, teaching them times tables and listening to them play music for him. In the midst of a high profile and stressful occupation, they were his delight and his wind-down time. For their part, the children completely adore their Grandad. When he appeared at our door every Friday evening there would be four children running at full pace to be the first to get a hug from their beloved Grandad. They would be promptly tipped upside down in a Judo throw; that black belt in Judo certainly came in handy and led to many squeals of delight. The children also have vivid memories of Grandad pushing them around the garden in a wheelbarrow. It was the simple things. No matter how hard a day he may have had and no matter what worries may have been playing on his mind, he was able to show such strength of character and selflessness in giving of his time, wisdom and humour to his family. It was in June last year that on one of these Friday nights, Dad (with Mum beside him) shared some news with Gregory and I which shocked us to the core. After discovering a lump in his neck, Dad had visited the doctor and had been diagnosed with cancer of the lung which was inoperable. He had been given 12 months to live. It was his fervent wish that we not share this news with others due to the public and sensitive nature of his work, and because as with all things, he was an intensely private person. He didn’t want anyone to waste time with pity or sympathy. Dad subsequently had numerous rounds of chemotherapy and radiation and faced it all with the same determination and humility as he did everything else. Dad then had surgery to remove a brain tumour in November last year. He recovered amazingly well and was back on his feet attending meetings within a week. The grandkids thought he was Superman – they weren’t the only ones. Four weeks later, the brain tumour had regrown. So, poor Dad was back into surgery again in early December with Mum by his side at every moment. Dad said openly to us that he just wanted to make it to Christmas. He has always loved Burleigh and he and Mum have a small unit there which they love to escape to whenever time permits. Gregory and I along with my husband Karl and the kids decided to spend a week at Christmas at Burleigh to be close to Mum and Dad. It was a special time for us all. We shared meals together, met up at the beach and wasted away the hours doing jigsaw puzzles. Dad had low energy but was in good spirits and thoroughly enjoyed being surrounded by the people who love him most. When we returned home on New Year’s Day, things went downhill fast. The doctors had told him that following the second brain surgery things could get worse before they got better, so beautiful optimistic Mum continued to care for Dad at home praying that one day soon it would all turn around. On January 12, Dad collapsed at home and Mum called the ambulance. Neither he nor Mum could have imagined that he was leaving home for the last time. Subsequent scans revealed lesions on the liver and within a few days the heart was starting to give out. Through all of this he declined even Panadol, such was the quiet courage of the man. His strong faith sustained him and he never doubted for a moment that this was all part of God’s plan. Even in Dad’s illness he demonstrated such dignity – he constantly expressed his gratitude to the nurses and had a beautiful smile to offer anyone who came to visit. After two dramatic heart complications, doctors spoke to Mum and told her that the rate of decline meant that any further medical intervention to prolong his life would simply be delaying the inevitable. Mum took the doctors’ advice with the quiet, patient, faith-filled acceptance that characterised her entire journey with Dad over these months. Dad’s condition deteriorated rapidly in the early hours of Wednesday morning and Mum received a phone call at 5am summoning the family to come. The end was imminent. By this stage Dad was not conscious but he was surrounded by Gregory, Mum and myself. We were always a tight unit and never more than in these hours. We held Dad’s hands and talked to him until he passed peacefully into God’s care at 11.30am. Thus ended the extraordinary life of the man we were blessed to call “Dad” – a man of long and honourable service to others who lived by his principles and who was deeply devoted to his family. While we will miss him we know that he has left an incredible legacy. He enriched the lives of all those who were lucky enough to know him. Have a good rest, Dad – you’ve earned it.